Here's another most awaited treat from Starbucks every year, the Limited Edition Starbucks Philippines 2014 Planner. 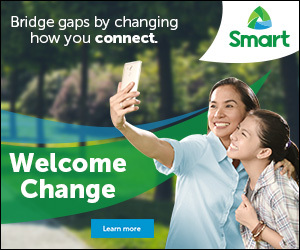 You can now own one by collecting 18 stickers, nine (9) Christmas beverages (Peppermint Mocha, Toffee Nut Latte and Gingerbread Latte) and nine (9) Core beverages, from November 2, 2013 to January 8,2014. 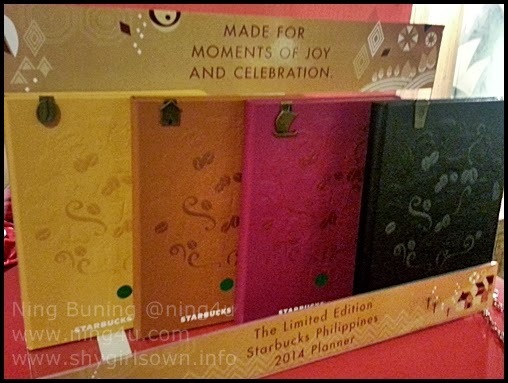 In the Philippines, the 11th Limited Edition Starbucks Coffee Planner is available in four (4) colors inspired by the three coffee roast profiles and a reserved which represents the colors of this year's planner with a genuine leather cover, as such Yellow (Blonde-roasted), Brown (Medium-roasted), Magenta (Dark-roasted) and Black (reserved-roast, available next year) with coffee icon metal bookmark coffee bean, houseblend, vinta and Starbucks cup respectively. 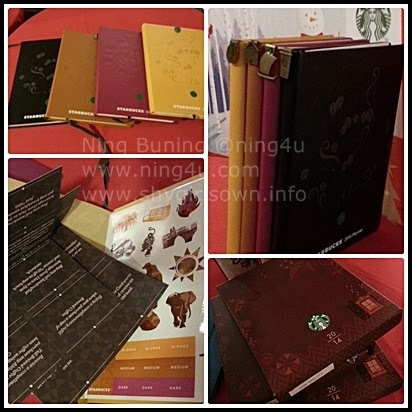 The coffee perfection, 2014 Starbucks Planner has an embossed designs of all Starbucks coffee available in our country, the stamps on the cover like the comodo dragon, elephant, vinta and more which also reflected on the set of stickers are present. This year also has the most number of coupons, all 14 coupons you will enjoy through-out the year. More so, QR codes are embedded within some pages, scan, watch learn more about Starbucks coffee holistically. Stay tuned for more Starbucks Treats this Christmas okay, from latest tumblers, drinks, cookies, cakes and limited edition Starbucks cards, I have so much more to tell you guys :).